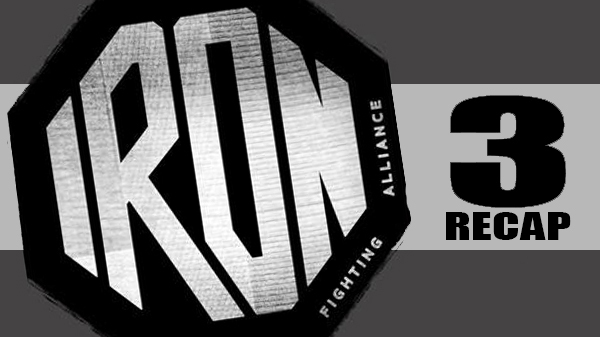 Iron Fighting Alliance (IFA) 3 was held on Saturday, June 2nd at the American Czech Educational Center in St. Louis, MO. Topping the card was a lightweight K1 bout between Christian Santana and Zach Burcham. In round one Burcham was aggressive in his offense throwing far more techniques than Santana, but only connecting a few including one fierce spinning backfist. Round two continued the same flurry of blows from Burcham who employed a number of wild, violent spinning techniques reminiscent of Warner Brothers' Tasmanian devil. Overtime Santana started to time and counter-punch Burcham , pressuring him, and landing several short combos eventually dropping Burcham for a ten count. Round three ended with Santana tearing into Burcham with a series of heavy body shots against the cage ending the fight earning Santana a TKO victory in round three. In his cage interview Santana had high praise for the IFA speaking positively of the promotion and the event's organization thanking the IFA for the opportunity to fight. The co-main event between Will Monroe and Brian Duncan, a heavyweight MMA bout, ended early in round one by doctor stoppage in a no contest do to corneal abrasion (eye poke). Dirk Jones got the better of Cody Nauke via KO in a welterweight K1 bout. Round one opened with hard exchanges by both fighters. Nauke began attacking Jones' legs with low kicks. On four separate occasions Nauke dropped Jones to the mat with low kicks. Jones responded with high and low kicks and brutal punching combos. Round two began with Jones throwing big kicks and Nauke going right back to working leg kicks dropping Jones back to the mat two more times. Jones eventually clinched and landed a massive knee to Nauke's liver, Nauke took it like a champ and backed up but it was clear he was hurt. Jones did not miss the opportunity to follow up and dropped two more knees to Nauke's body bringing him to the mat and stopping the fight. Thad Roush defeated Chris Wetherington in round one via TKO in a 175-pound catch-weight MMA bout. Arin "AJ" Johnson stopped Aaron Clarke in the first round of their welterweight K1 bout with a vicious KO. Johnson came out early landing heavy body shots on Clarke dropping him to the mat ending the fight after a 10 count just 27 seconds into round one. IN a catch-weight 175-pound MMA bout, Anthony Oden took on Logan Saputo. Round one began with leg kick exchanges and Saputo throwing a big spinning backfist. The fighters soon clinched and Saputo landed a takedown but Oden reversed and took side control. Saputo turtled up and Oden began dropping punches. The round ended with Saputo in turtle and Oden on top. Round two began with Oden still light on his feet and with Saputo getting slower and heavier. Oden started floating in an out landing jab after jab followed up with hard consecutive jabs eventually dropping Saputo against the fence with jabs and ending the fight in a flurry of ground and pound forcing the ref to stop the fight and awarding Oden a TKO victory. Dan Boyer only needed ten seconds to take out Dustin Hill via KO. Round one opened with Boyer throwing two head kicks the second of which connected and dropped Hill to the mat ending the fight. In a super heavyweight MMA bout, Parker Weathersby defeated Eric Wilson via rear naked choke. Weathersby started round one getting a double leg takedown on Wilson bringing the fight straight to the mat, Weathersby then worked his way to Wilson's back securing a rear naked choke ending the fight in just 14 seconds into round one. Richard Jones defeated Tyler Massey via unanimous decision in a 150lb MMA bout. Round one began with Massey throwing heavy kicks and punches eventually landing a low blow hitting Jones in the groin. The fight was stopped until Jones recovered. Jones came back and responded with an overhand right dropping Massey to the mat. Massey sprang back up and returned in like kind hitting Jones hard, clinching and dropping into a guillotine. Jones escaped the attempt and worked in Massey's guard eventually pushing Massey to the fence and following up with ground and pound. Round two opened with a hard, audible groin kick from Massey. Jones doubled over and took the fetal position in the middle of the mat. He then got up and worked out what appeared to be shooting, agonizing pain. The fight was back on with Jones going beast mode quickly clinching with Massey. Massey returned with knees striking Jones again, audibly, right in the groin. The crowd went silent out of respect as Jones doubled over wincing and grimacing in pain. Massey was hit with a penalty for the low blow. After some time Jones returned to the fight and, after a fierce exchange of punches, went straight into the clinch. It was clear that the number of massive strikes to Jones' groin was effecting his performance. Jones then, grunting, landed a massive takedown securing side control to finish the round. In the opening of round three the fight was stopped by the ring doctor, the audience breathed a sigh of relief, and the fight went to the judge's cards. Given the repeated and violent assault it took it in this bout don't be surprised if Jones' groin doesn't get nominated for fighter of the year. Following IFA3 KnuckleJunkies.com had the opportunity to interview IFA organizer and promoter James K. Dalton III. I asked Dalton about his thoughts on the event, he responded, "We had a couple fighters drop out, one guy didn't make it to weigh-ins so we had to shuffle some things around so there was some apprehension going into the event but in the end I was happy with the card." Dalton added, "We had a number of fighters make their debut today which is something I am proud of, IFA provides an opportunity for new and seasoned fighters to perform which makes for a real fun time." When asked "Will there be an IFA4?" Dalton confidently replied, "Yes, sir." 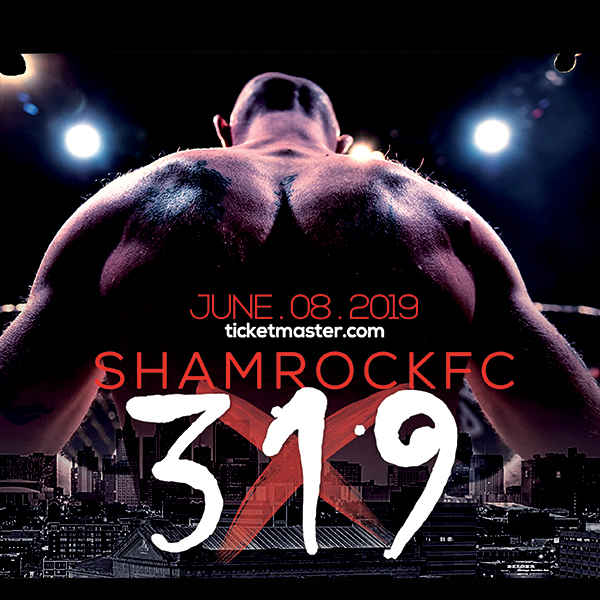 Dalton, himself, recently fought for the Shamrock FC promotion, and when asked if he will fight again, he responded smiling, "Hopefully, I'm getting old, but I might go one more time." The good news is St. Louis had another awesome night of fights on Saturday courtesy of some amazing athletes and the Iron Fighting Alliance promotion.